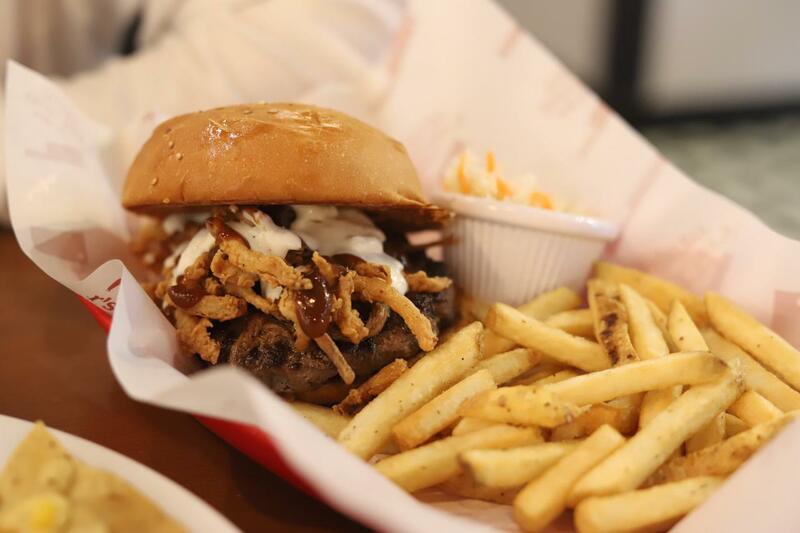 Located inside Mall of Egypt, Butcher’s Burger shares the venue with its sister company, Chicken & Ribs. There’s a lot going on when it comes to the interior. Maybe it’s because of the six flat-screen TVs, the open kitchen, and the graffiti on the walls. The seating area is quite good and there are a lot of different choices, whether you’re looking for couches, high tables, or just normal ones. If there’s one thing we felt didn’t live up to our expectations, it would have to be the not so ‘new’ Loaded Nacho Chips (59 LE) appetiser. 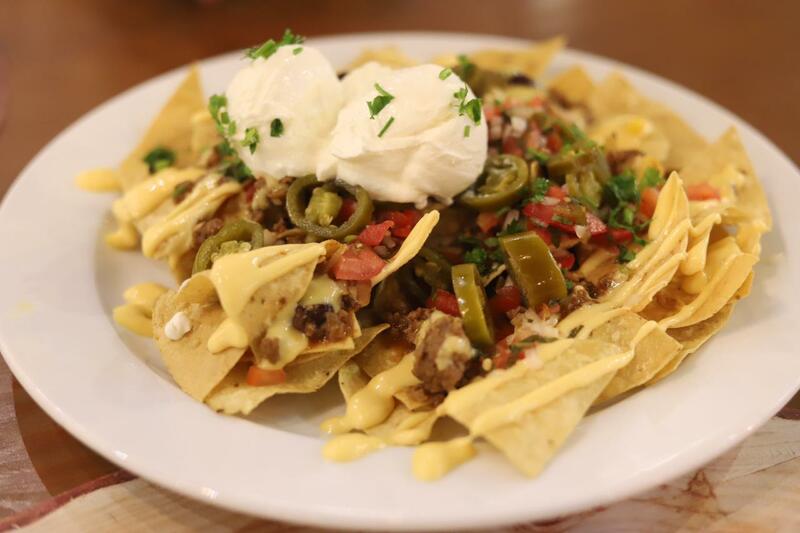 The chilli was far from saucy and had big stiff chunks of beef, and the toppings-to-tortilla chips ratio was way off; we felt it was more of a chips and sour cream dish rather than a loaded nachos. However, we really enjoyed the overall flavours of everything, the freshness of the pico de gallo and the consistency of the cheese sauce, but this dish needs many improvements. As for the burgers, they’ve added two new burgers; the Son of a Gun (179 LE) which is a 600gm burger listed in the new Super Size Burger section, and the Umami Burger (89 LE) which was our choice because a 600gm burger was too challenging for us! Served with well-prepared fries and coleslaw, the Umami Burger consisted of a juicy burger patty topped with pulled BBQ brisket, super crispy onion, BBQ sauce, and blue cheese sauce. We really enjoyed the additional crunch of the onion, and the sweetness of the BBQ but the blue cheese sauce was a bit overpowering, which could be a good thing for blue cheese fans. 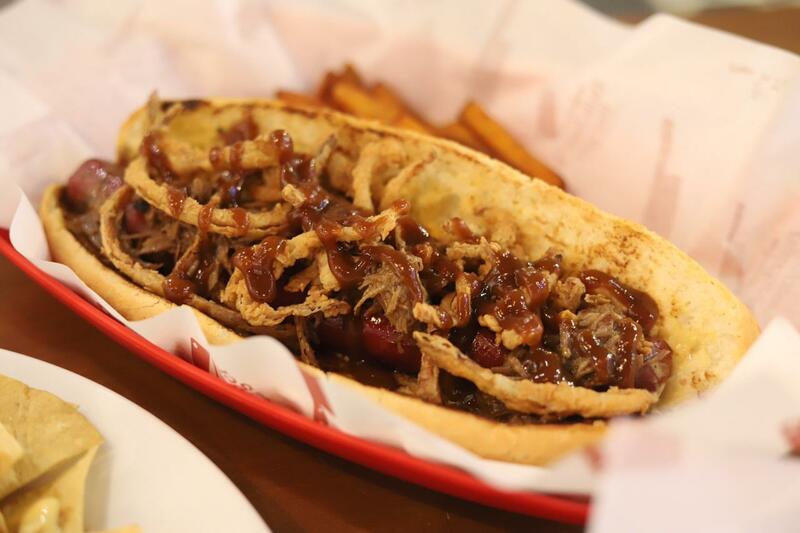 The hot dogs also got a newcomer; the Smokehouse BBQ (69LE), which had similar toppings to the Umami Burger. This good quality grilled hot dog, that had a far from grainy texture, was topped with pulled BBQ brisket, BBQ sauce, fried onion, pickles, and smoky mayo. We definitely enjoyed the tender and sweet BBQ brisket way more in this sandwich, and surprisingly the smoky mayo and pickles stood out the most in terms of flavours. We paired our sandwich with Sweet Potato Fries (19 LE) which were mildly crispy and a bit soft, but perfectly seasoned. When it comes to dessert, the new one was sweet potato fries topped with caramel. 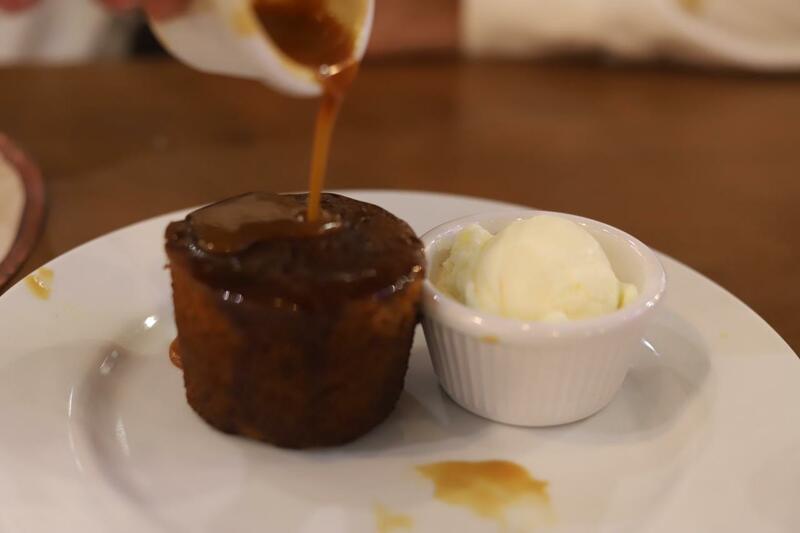 However, seeing that we already had sweet potato fries as a side, we went with the Sticky Toffee Pudding Cake (54 LE). We cannot describe how beautiful the texture of the cake was, and the addition of caramel and the side of ice cream took this lusciously dense cake to an entirely new level of deliciousness! Overall, we had a good experience at Butcher’s Burger’s new branch. We felt the new items might be a bit limited, but the sandwiches were definitely great and are worth trying. Chicken and Ribs also has a new menu! The Smokehouse BBQ Hot Dog. The Loaded Nachos could’ve been better.